I wonder what possible to carry space and would unify the overlaid? That was my question at an exhibition in a former power plant. A small house for a caretaker was left in the location of the power plant, it was the empty, but the kitchen and five other rooms had its carpets with traces of tables, chairs or other furniture that had been used was clearly. 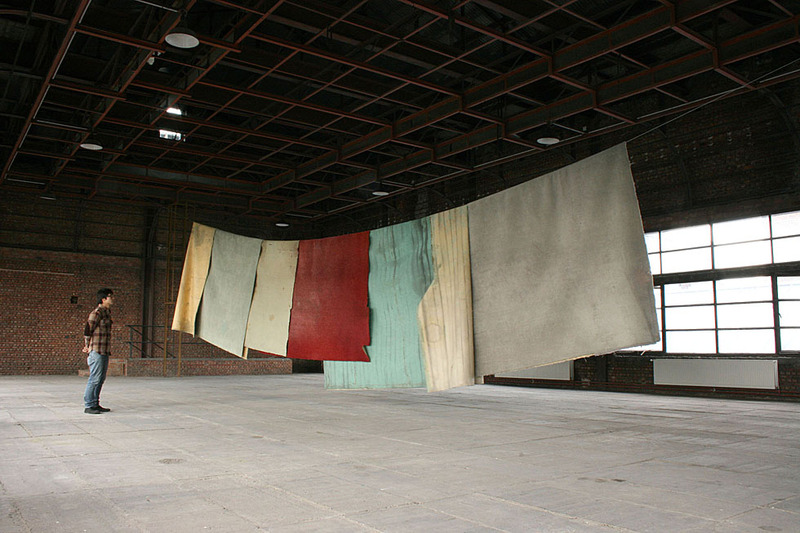 The work was to peel off the carpets and put it on a wire tied to the edges of a large exhibition’s space. 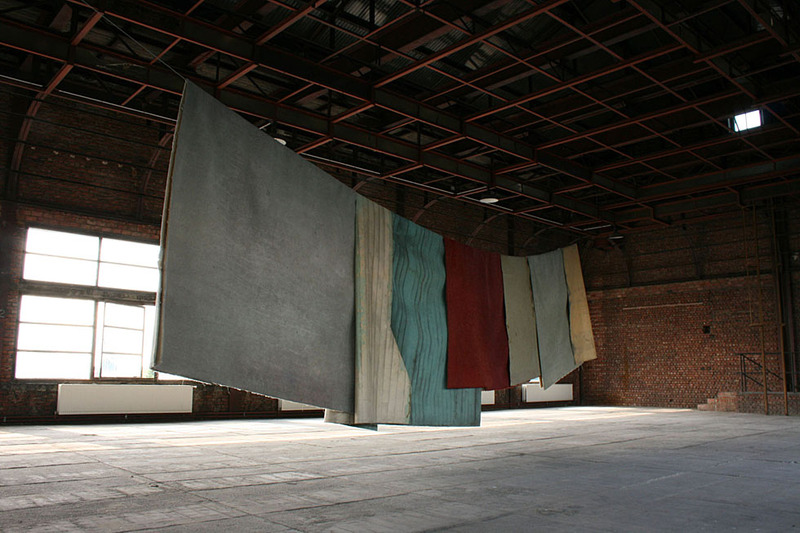 The wind coming through the window, folded carpets were superimposed while shaking it slowly, it was towards the viewer its mark.